1. We had flurries this morning and have now settled into a nice freezing rain. Some weather indeed. 2. An Instagram performance piece. 4. How to observe Whiteness History Month. 5. 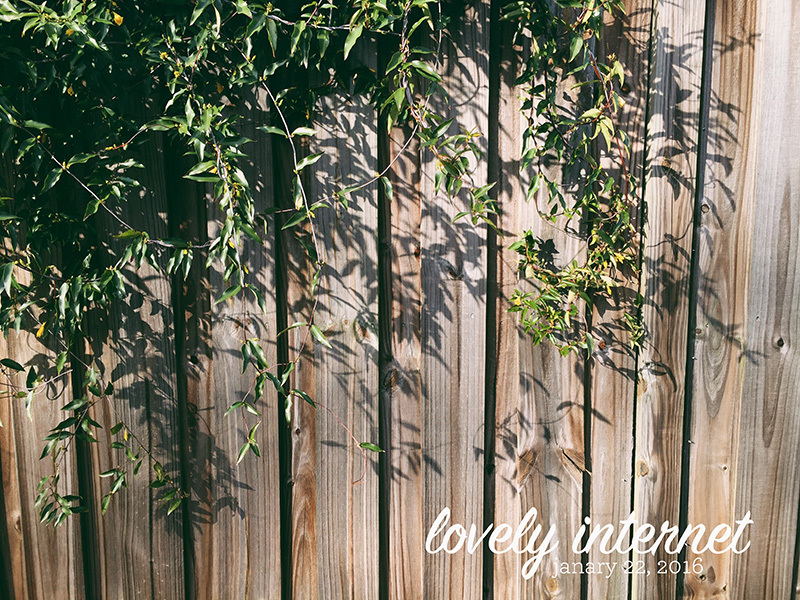 On blending in and not fitting in. 6. I’m on a high horse about this one lately- there is no “first world.” There is only one world. 7. The new American dietary guidelines. The TL;DR: get to know your fats. 8. Get your daughter(s) a skateboard. 10. Macklemore, examining his privilege. This year for Dan’s birthday we had a birthday brunch. I figured 31 is a good time for a low key celebration (but still a celebration because come on), and Dan agreed that putting a candle in cinnamon rolls was as good as any cake. So a birthday brunch it was! 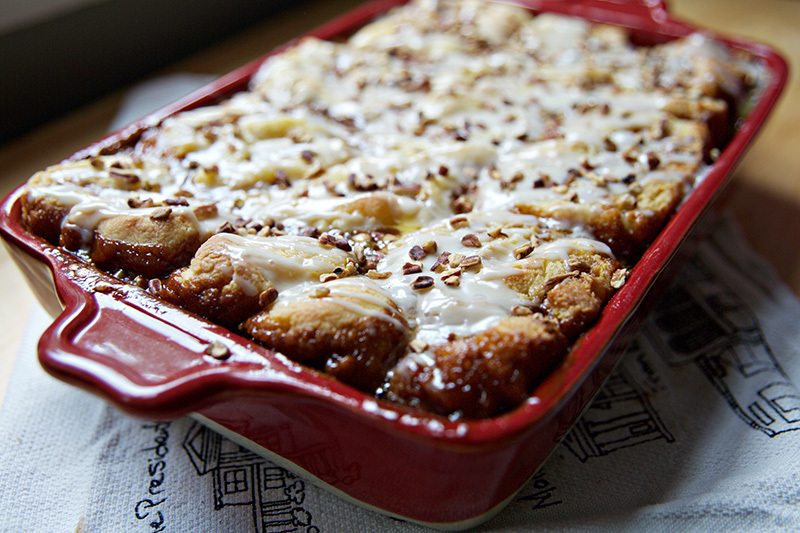 The cinnamon rolls we made for The American Cookbook was hands down my favorite recipe in the book and perhaps my favorite recipe from 2013. The secret is that they’re baked in caramel sauce. Or, as Dan kept putting it, they’re cinnamon rolls poached in caramel sauce. 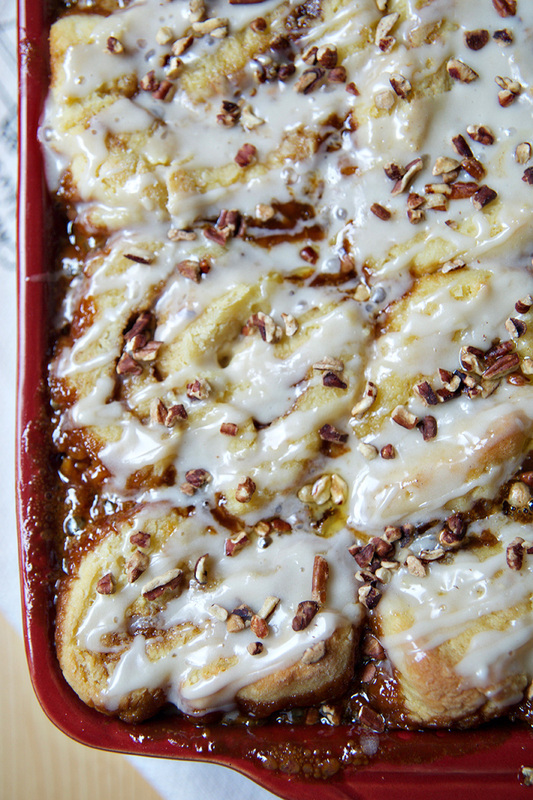 Because what does a cinnamon roll really need other than a rich and decadent sauce? When I was testing this recipe for the cookbook Dan and I would each eat one, and then the rest would be gifted out to others. I was glad to have a table full of people to eat these at our brunch, because otherwise I can tell you right now I would have curled up in front of the fire with the whole dish. Which probably would not have been great for my overall health. Physical, at least. Mentally I would have felt GREAT! Dissolve the yeas in 1/4 cup warm water with a pinch of sugar. Set aside for 5 minutes. While the yeast is going heat milk and butter over low heat until the butter has melted. Remove immediately and mix with the yeast mixture, remaining sugar, salt, egg, and half of the flour. Stir to incorporate and then add the remaining flour a little at a time until the mixture comes together to form a dough. 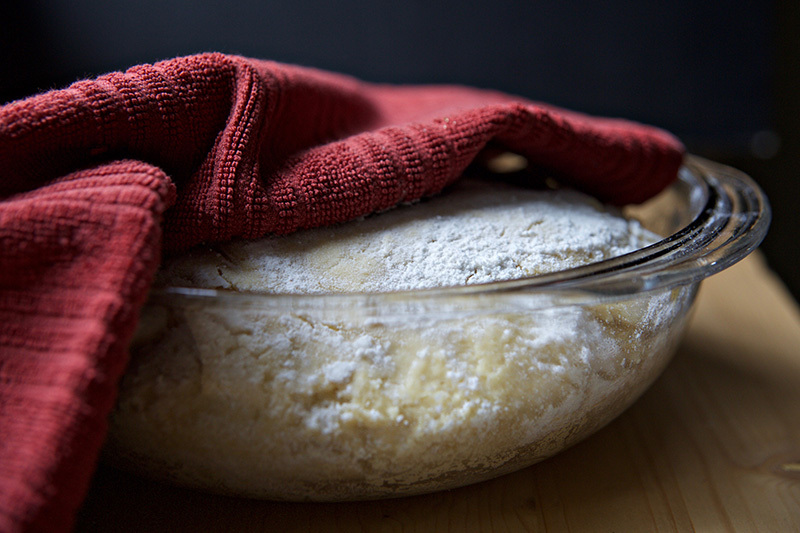 Knead the dough for 5 minutes, adding flour as needed to keep the dough from getting sticky. Turn into an oiled bowl and cover loosely with a towel. Allow to rise for 1 hour in a warm spot. 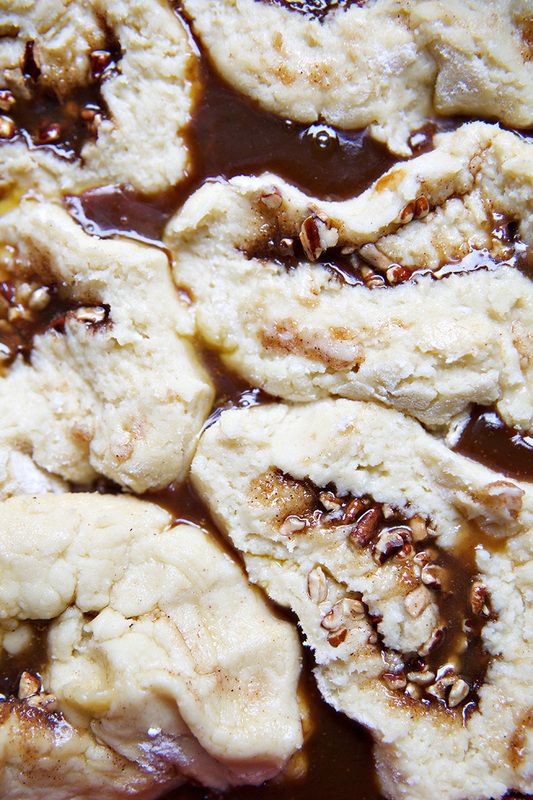 While the dough is rising make your caramel sauce. In a heavy frying pan melt the sugar, stirring constantly with a whisk. The sugar will clump, but continue to stir. Once the sugar has melted and reached a dark brown color, add the butter. Continue to stir as the butter melts and incorporates. Add the vanilla extract and the cream, and continue stirring until the boiling has stopped. Remove from heat and let cool. Heat oven to 350F. Place the dough onto a floured surface and roll it out to a thickness of 1/2″. 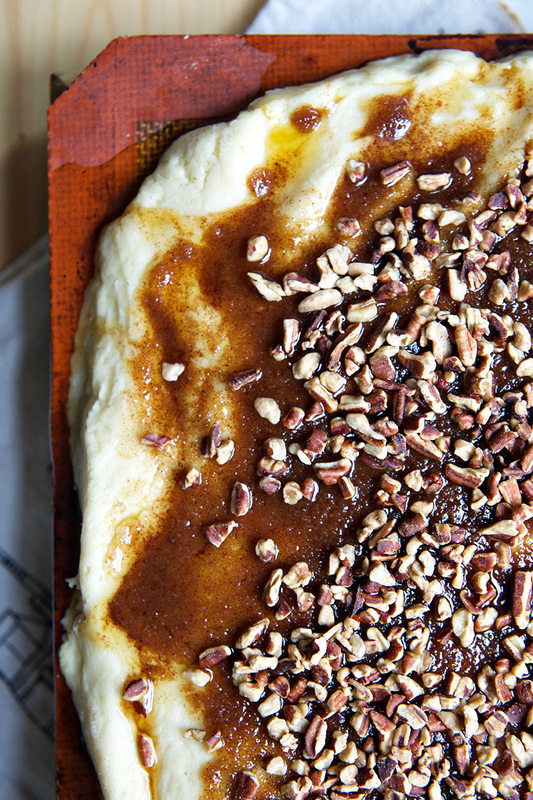 Make the filling by softening the butter and mixing it with the sugar, cinnamon, and pecans. Spread the filling evenly over the dough. Roll to form a tight spiral. 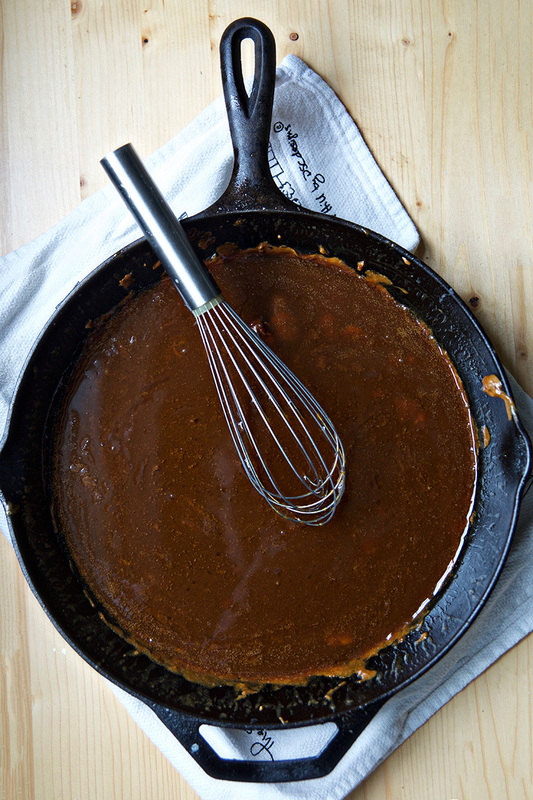 Pour the caramel sauce into a 9×9 pan. 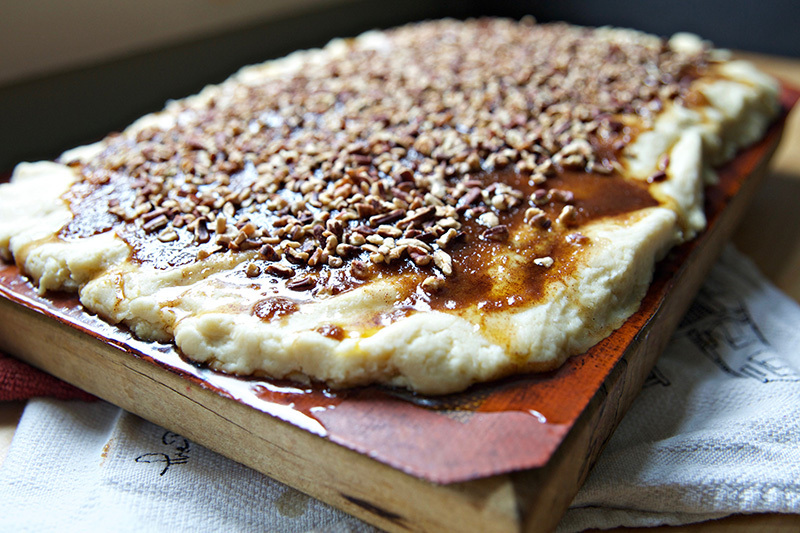 Cut the dough into 9 equal slices and press into the caramel sauce. Bake for 25-30 minutes or until golden brown and bubbling. The center of the buns should remain slightly gooey. Whisk together the powdered sugar and milk and pour the icing over the buns. Serve hot. -Add 1/4 cup of milk to the recipe, bringing the total up to 3/4 cup. – Gluten free dough comes together differently than wheat dough. Because of this, it takes a little bit more finesse and work for the perfect end results. You can’t over work the dough like you can with wheat flour, so feel free to pat, fold, and pat the dough out as many times as it takes until a pliable dough forms (5-6 times in my experience). Be gentle, but it’ll come! 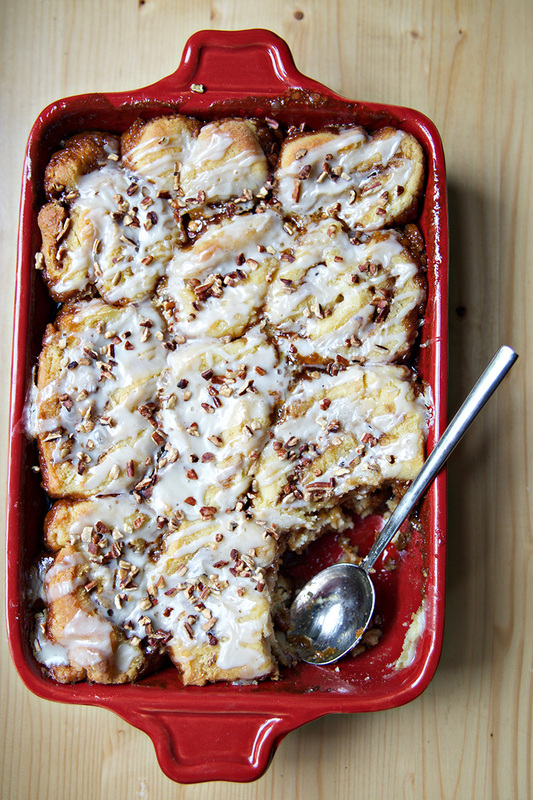 – You can see in the pictures, but these didn’t roll quite as much as the gluten cinnamon rolls I made for the book did. That’s okay! I was able to get the dough patted down to 1/2″ and then I used my sil-pat to help me form the roll. Worked like a charm and they were delicious. 3. Oh man, the world is going to miss this guy. 4. And this one. What a week. 5. Only one in the room. 6. I have a similar deal with the house outside my bedroom. Except I never wait to see. 7. If you ever get a chance to do this drive, do it. 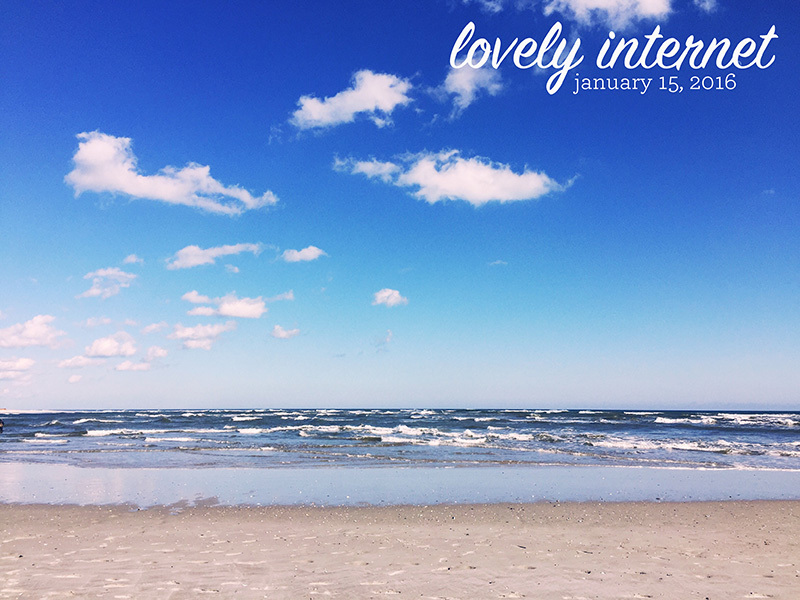 And camp on Ocracoke. 9. Who doesn’t want to do carpool karaoke with Adele? 10. This is an incredible story.